We are so thrilled. Dan said he knew the whole time. 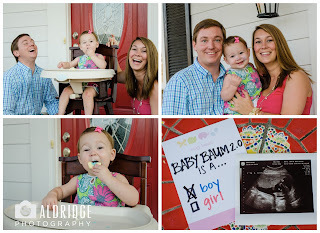 I am still in a state of shock (I just knew it was a girl), and wondering what I'll do with a boy! More details of the appointment, etc. to come tomorrow (or later in the week)...I'm too tired tonight! Thanks, as always, to my best friend Stephanie Aldridge Photography for the fantastic photos. Hooray!!! Oh wow, I am SHOCKED! I could've sworn you'd be having another girl too!